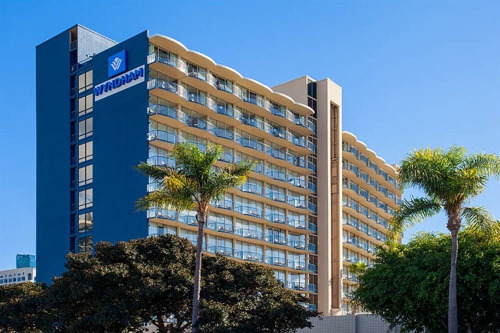 Located across from San Diego Bay, the waterfront Wyndham San Diego Bayside hotel offers comfortable accommodations just 0.9 mile from the Gaslamp Quarter and 7 miles from SeaWorld San Diego. Guests can enjoy complimentary Wi-Fi and airport shuttle services, access to an outdoor pool and a poolside gym, three restaurants, 27,000 square feet of versatile event space, a business center, and more. 3.4 miles from Balboa Park. 7 miles from SeaWorld San Diego. 600 guest rooms and suites. 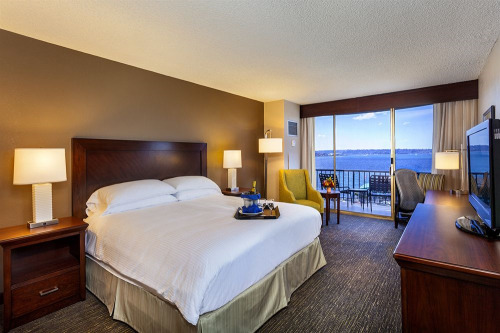 Rooms feature free Wi-Fi and flat-screen TVs. Outdoor heated pool and poolside gym. 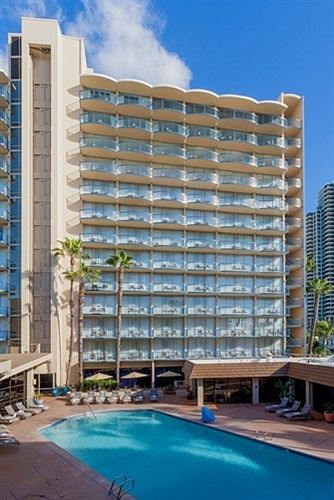 With a stay at Wyndham San Diego Bayside, you'll be centrally located in San Diego, steps from Maritime Museum of San Diego and minutes from B Street Cruise Ship Terminal. 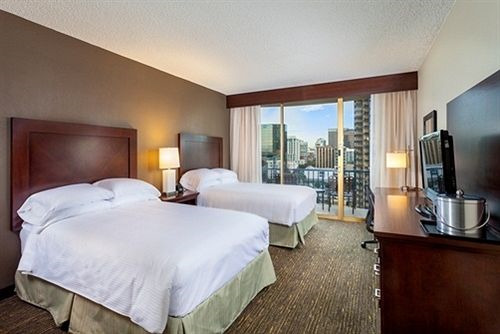 This family-friendly hotel is close to Balboa Park and San Diego Zoo. 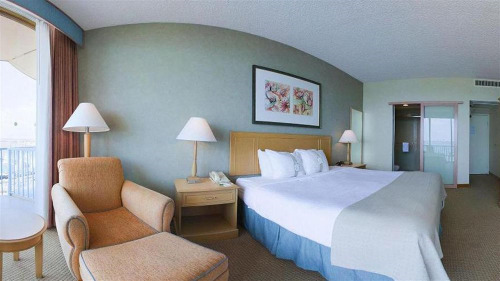 Make yourself at home in one of the 600 air-conditioned rooms featuring LCD televisions. Windows open to city and pool views. 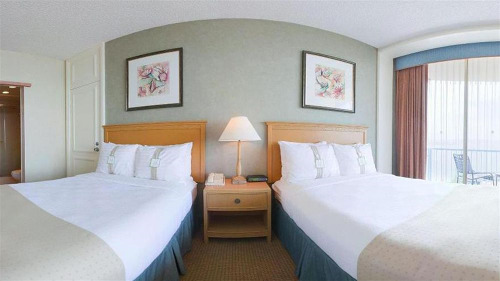 Digital programming and video-game consoles are provided for your entertainment, while complimentary wireless Internet access keeps you connected. Private bathrooms with bathtubs or showers feature makeup/shaving mirrors and designer toiletries. 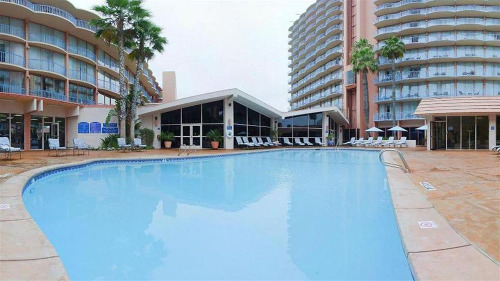 Don’t miss out on the many recreational opportunities, including an outdoor pool, a fitness facility, and bicycles to rent. 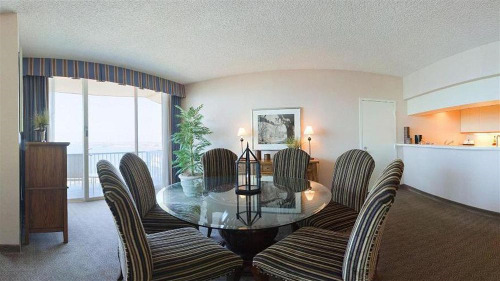 Additional amenities include complimentary wireless Internet access, gift shops/newsstands, and shopping on site. If you'd like to spend the day shopping, you can hop on the complimentary shuttle. 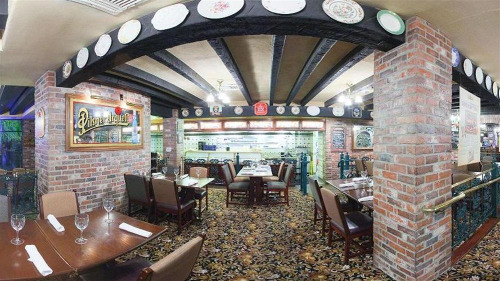 Grab a bite to eat at one of the hotel's dining establishments, which include 3 restaurants and a coffee shop/café. Relax with a refreshing drink at one of the 2 bars/lounges. Buffet breakfasts are served daily in the restaurant for a fee. 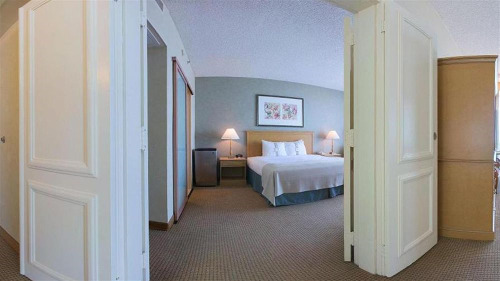 Featured amenities include complimentary high-speed (wired) Internet access, a business center, and an Internet point. 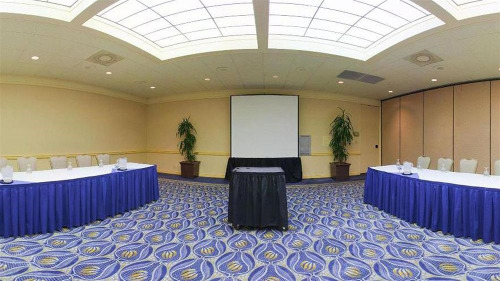 Planning an event in San Diego? 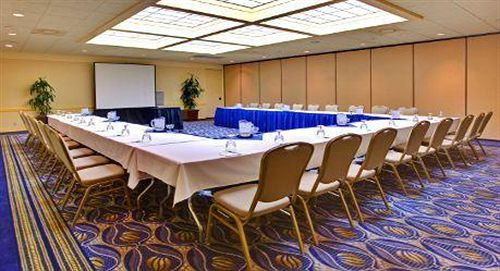 This hotel has 22,000 square feet (2044 square meters) of space consisting of a conference center, a ballroom, and banquet facilities. A roundtrip airport shuttle is complimentary at scheduled times, and a cruise ship terminal shuttle is also provided at no charge. Pets allowed for dogs and cats only. Maximum of 2 pets per room. Pet fee is $25 per night. Self parking is $29 per day. Valet parking is $40 per day. Refrigerator fee is $10 per night. Rollaway bed fee is $10 per day.